The candidates are starting to get it. I have heard so many political ads that speak about the Constitution. My hope and prayer is that this is not just campaign rhetoric and these people will actually stick to their word. 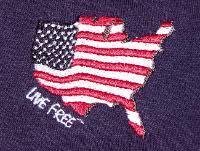 RINO's and Liberal Democrats could care less about the Constitution, they have proved that over the last 20 years. But things need to change and Americans want it done right. Americans do not want health care mandates, they want access to health care without being forced to a system that is more expensive and provides less service and they certainly do not want a panel deciding on what care is best for them based on all their medical history that is in a national database. They want to make that decision with their doctors and family members. Americans are tired of the back and forth between Republicans and Democrats who look nearly identical in all they do when it comes to overspending and government control of our liberties. 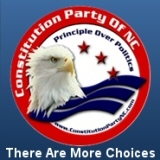 If you haven't considered members of the Constitution Party, you may want to. They have a platform that nearly anyone who calls themselves a member of the Tea Party would be proud. Get out there and vote but stop putting up with the same incumbents on both sides who refuse to stand up for you, their constituents, the one they are supposed to represent but refuse to do so. Remember voting for the lessor of two evils is still voting for evil. Keep an eye on those that do get elected. Make sure that they are doing their jobs of representation and if not, VOTE THEM OUT or RUN Against them. Americans will speak loud and clear to the RINOS and Obama Democrats tomorrow. Lets hope the message gets through. GOA representatives are traveling coast-to-coast to discuss the differences between candidates running for office. GOA's Political Victory Fund has already issued scores of alerts, endorsements and contributions in important elections that will take place next week. You can go to goapvf.org to see the highlights of these races. Many of the above races involve Blue Dog Democrats who are trying to portray themselves as solid defenders of the Second Amendment, but their current grades seem to reveal they are nothing more than Pelosi puppets. You can go to this link to see a bigger list of Blue Dogs who have been working to prop up Pelosi. The GOA representatives who will be traveling this week include Vice-Chairman Tim Macy, Executive Director Larry Pratt, Director of Federal Affairs John Velleco, and Director of Communications Erich Pratt. Cyclist: Off-Duty Cop Pulled Gun On Me In Road Rage Incident! Downsize DC President Jim Babka will be speaking in Williamsport, PA this Saturday. Details below the signature. Have you heard about the "robo-signers" scandal in the mortgage industry? Mortgage company employees have signed foreclosure-related affidavits without knowing if they were true. Professor Donald J. Boudreaux draws a parallel to Congress not reading the bills they pass. The politicians are screaming and waving their hands about the "robo-signers" in the mortgage industry, but, hypocrites that they are, they refuse to do anything about their own "robo-legislating." Please condemn this hypocrisy. Please inform Congress of this parallel and tell them to introduce and pass the Read the Bills Act. Robo-signers are "posers who sign and give life to legal documents without even reading the contents of these documents." Whereas, Congress votes "to give life to legislation without even reading the contents of the legislation." Did you read any of them? Or are you a "robo-legislator?" We the people are are always impacted - and often hurt - by your legislation. Do us the decency of at least knowing what you're voting for. Take the bills you're considering as seriously as if you were signing a foreclosure document on someone's house. Also, see the bills that Congress passed in September on our blog. And we invite you to add your blog or website to the Read the Bills Act Coalition. You will spread the word about RTBA, and in return your site will be listed on our main page and be mentioned in a Dispatch like this. Learn more and join here. SPECIAL ANNOUNCEMENT: DownsizeDC.org President Jim Babka will be speaking at the Responsible Representation Rally at the Brandon Park Band Shell in Williamsport, PA THIS SATURDAY, October 23. The Rally begins at 12 noon and ends at 2pm. The Rally is sponsored by the Susquehanna Valley Regional Tea Party, which has adopted the Downsize DC Agenda for reforming Congress. We hope to see you there! Online Voting Is Becoming More Common, But Is It Safe? LBCC dental clinic offered to uninsured - Don't Forget Your Flouride Treatment! What is Really Going on with the Foreclosures? The Banks, like Bank of America, JP Morgan and others are stopping the foreclosures of hundreds of thousands across the country. Some of the banks have been found to have hired homeless people, laid off waitresses and the like to sign off on the mortgages without proper training to ensure that the paperwork was all done properly. People who were being foreclosed on were starting to challenge their foreclosures by making the banks prove they actually owned the title to the home they were foreclosing on. Because most banks and mortgage companies trade or sell off titles, they had a hard time of proving ownership and in many cases the home owners were able to prevent their home from being foreclosed. But are the banks themselves stopping the foreclosures under the guise of checking the paperwork or are they doing what they can to prevent a huge inventory of empty houses hitting the the already saturated housing market? Obviously flooding the market with more homes would decrease the value of those homes and lower the prices. The banks would stand loosing billions. In 2009, Bank of American sad "We do not hold foreclosed properties off the market." In that same year we read about a "Shadow Inventory" of homes that the banks refused to put on the market. In January 2010, "Bank of America to release homes into the Nevada housing market..It's part of the so-called "phantom inventory" of foreclosed homes being held by banks as they work out loan modifications and negotiate short sales." This appears to be a manipulation of the housing market and should be investigated. Yes, investigate their sloppy paperwork and give justice to those who have had their homes unjustly foreclosed, but also investigate the banks and mortgage companies themselves from what could be nothing more than a price manipulation scheme. Hillary for prez in 2012? Alcohol for breast cancer awareness? Unelected federal bureaucrats are forcing New York City to spend $27 million to replace their street signs. Our bureaucratic overlords maintain that streets signs must contain both upper and lower case letters, instead of just capital letters! Do you feel grateful that you're being protected from upper case streets signs? This dictatorial mandate comes from the Federal Highway Administration, and applies to every community in America, not just New York City. But don't blame this outrage on the busy-body Democrats. This isn't an Obama directive. The rule was actually promulgated back in 2003 -- during the Bush Administration. Regardless of which party rules, very little is done to stop unfunded mandates or bureaucratic law-making. The problem is, Republicans have been promising to get rid of unfunded mandates since their so-called "Contract With America" way back in 1994! The GOP controlled Congress and the White House for 6 years, but did exactly nothing to honor their promise. This shows why we must remain committed to principles, not parties or politicians. Now, here is what can be done about unfunded mandates, and you'll only read these next two ideas HERE, in the Downsizer-Dispatch. First, New York City could tell the feds to, "Go to hell." City officials swore an oath to the Constitution too. They've read the highest law in the land. They know this is wrong. That would be called, "nullification." To help promote this idea, Downsize DC President Jim Babka spoke at the Nullify Now! Conference in Orlando on October 10. There will also be two other opportunities to see (and meet) him this weekend. You can see the details here. Second, if a single sitting GOP member of Congress was serious about fixing unfunded mandates imposed by un-elected bureaucrats, then he or she could sponsor DownsizeDC.org's Write the Laws Act. There are candidates who've pledged to do this, and you can read their names here. But no incumbent member of Congress has yet stepped forward to introduce this powerful bill which would restore ALL legislative power to the House and Senate, and deny any legislative power to the Executive Branch, just as the Founders intended. The Republicans tell us they believe in small government and the Constitution, but if that were really true they would introduce this bill. Allowing bureaucrats to issue dictates that have the force of law amounts to legislation without representation. How un-Constitutional is that? How un-American? How hypocritical, especially for GOP members? Please send a letter demanding that your representatives introduce and support the Write the Laws Act. The FHWA is requiring street signs nationwide be replaced so that, for example, MAIN ST becomes Main St. Fonts must also be standardized. This underscores the need for the WTLA . . . If you claim you want smaller, less-intrusive, common-sense government, then show me you really mean it by introducing DownsizeDC's Write the Laws Act. Hey, give us exemption from Obamacare, too! Cash-Strapped States Resurrect "Debtors' Prisons"
China hitting India via Net worm?